Written for my dear dolphin friend, Kerri. Keep spreading your healing light and love out there for all to benefit, and save some for you, too! When I was a little girl growing up in North Carolina my family used to vacation every year down on the South Carolina coast. I learned to swim there. My father and mother would slide into the pool at the little motel we stayed at. I would stand at the edge and jump into the water where they would catch me and help me swim out. Their arms would be outstretched and the look on their faces would settle into me knowing I could trust them to catch me and guide me. They would not let me sink. We learn as children to trust our parents and caregivers. We know we can jump in and be safe and learn and have fun splashing about in safety. We grow up as adults wanting from others that same secure feeling of jumping in and being safe to swim about under the watchful eyes of another. But life soon teaches us that this comfort cannot always be found in another. We get let down by human weakness and frailty and we ourselves swim away from those that need us sometimes. This is when we find ourselves at odds from what we learned as children and what we now are experiencing. This process is natural and normal. We must embrace the experience because as children we learn to swim and then we can jump and splash and swim about on our own. 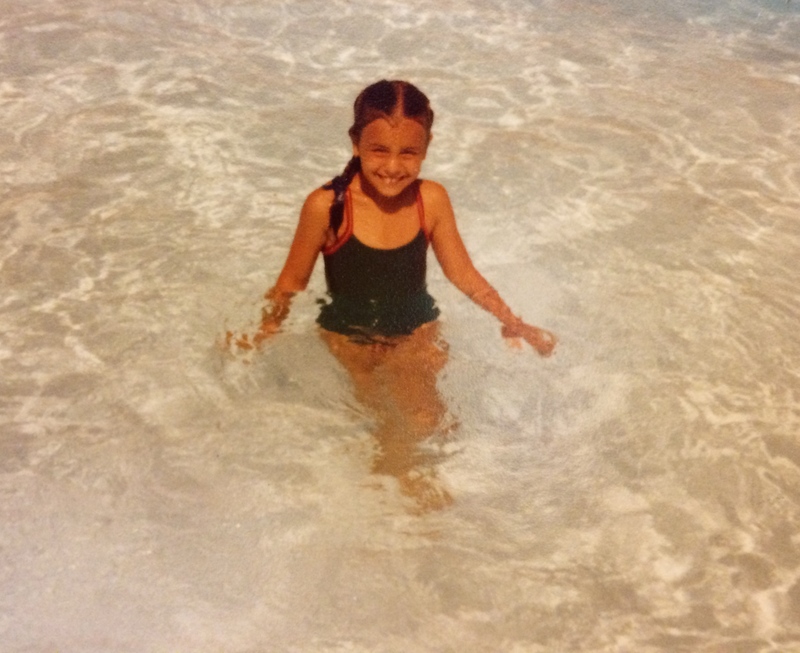 Our parent’s loving intent was to teach us to swim on our own…. We must relearn to trust ourselves as adults in this pool of life we swim in. Our learning comes from not bringing focus to those that swim away when we jump, but to realize we have two arms, two legs, we can float, and we know how to swim now. When our focus becomes who was not there to catch us, we give away our own skills, power, knowledge, and trust in ourselves. Release expectations and assumptions of others. Don’t give others power to save you from the bottom of the pool. Kick and pull with your arms using your learned knowledge of swimming, your love of the water, and trust in yourself to swim. Say out loud, “I catch me.” You will not be alone in this pool. Your friends, family, and strangers will be swimming and enjoying life right along with you. This is not a lonely endeavor. This practice of “I catch me” is healthy and strengthening and conditioning for life’s events that inevitably come our way. When we believe and know we can swim, we can help our selves and others. We shouldn’t give away our own sense of safety by relying on another to “catch” us. Say it again, out loud, until you believe it. Do it out of self-love and not out of loneliness or fear. I catch me. Now go and enjoy your swim, dear dolphin friend. I’m in the shallow end doing a hand-stand waiting on you!